The new Predator 74 has all the hallmarks of greatness. Striking style, remarkable power and an innovative use of light and space. This latest Sunseeker can accommodate whatever your lifestyle desires. Lazy afternoons soaking up the sun on her spacious exterior decks or putting her through her paces at speeds up to 40 knots across the blue waters. The new Predator 74 has been built without compromise and without equal. 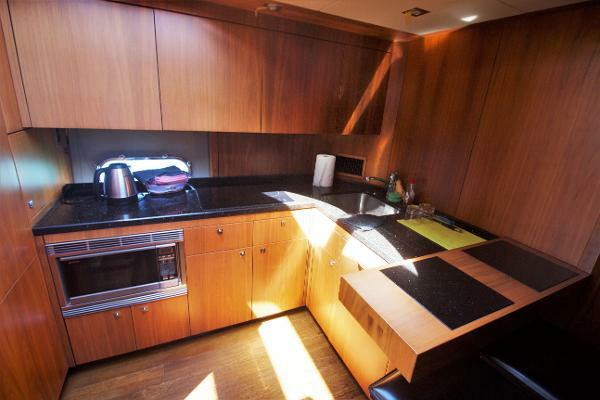 Perhaps most breathtaking is the exterior, with sleek yet oversized pillarless windows down to the side deck. Providing uninterrupted views of your surroundings and letting natural light completely flood the interior. 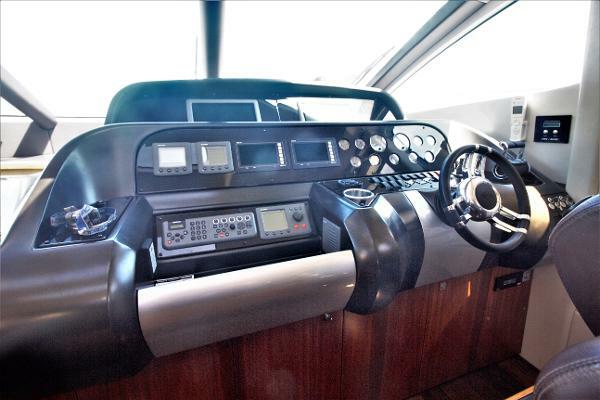 On top of this, you’ll find a cleverly engineered cockpit door mechanism which opens conventionally, or lowers itself completely into the sole of the yacht – all at the simple flick of a switch. So offering the best of both worlds; to suit you and the environment you’re travelling in. 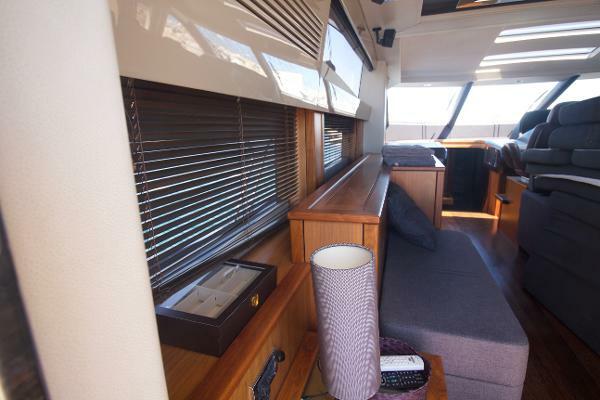 Inside, the generous saloon proves to be the perfect spot for entertaining, with a sumptuous seating area, ample storage and comprehensive port-side bar console; all below an extraordinary panoramic glass sliding roof. Every cabin is equipped with state of the art entertainment and the attention to detail is flawless. Guests will feel truly pampered in whichever one of the guest cabins they dwell with the master stateroom offering exceptional space and the flexibility of either a walk-in wardrobe or office area.